Most of the people in the world may not know about the ZTE smartphones. Just like One Plus they too are Chinese manufacturers. 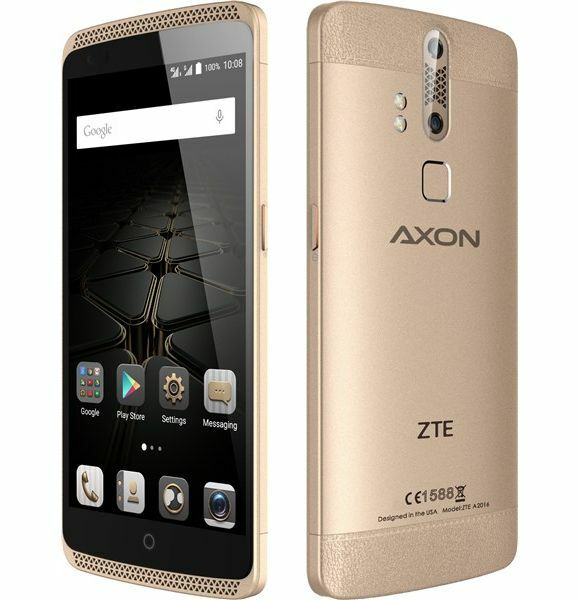 Recently they came up with their new flagship device the ZTE Axon 7. This phone comes with all the high end specs what you expect to be in a smartphone presently. With the price tag being less than the other mobile giants like Apple, Samsung, LG, HTC, etc , do you think this smartphone would withstand in the competition? Lets find out. The AXON 7 looks very sassy though it retains the design of its previous smartphones but with few add ons. It has a metal unibody built with dual front facing speakers and a fingerprint scanner is added on the back. The volume rocker and the power button lie on the right side, and a USB Type C port and headphone jack placed at the bottom and top of the phone respectively. Something that has not retained is the dedicated camera button which is found on the previous ZTE smartphones. The ZTE Axon 7 has a 5.5-inch AMOLED display with a resolution of 1440x2560 (538 ppi). This is a Samsung-made AMOLED display, and you get everything you’d expect from an amoledscreen. The screen is made of corning gorilla glass 4 and can survive few heavy drops with ease. The display looks very bright with vibrant and saturated colours and very good viewing angles. The user would have absolutely no problem with the display and would have a great experience with it. It comes with the snapdragon 820 chipset and adreno 530 GPU. It comes in two variants. The 64 GB version comes with 4GB ram and the 128 GB version comes with 6GB ram. A 6GB ram for a smartphone is truly amazing. The performance of the AXON 7 is very smooth and no stutters can be found. Multitasking can be done with ease with no lag at all. Overall the performance on this phone is very fast. It also has a micro SD card slot for expandable storage upto 128 GB. The rear camera of AXON 7 comes with a 20 MP shooter and f/1.8 aperture, phase detection auto-focus, OIS, dual-LED (dual tone) flash and the front camera comes with a 8 MP shooter. The pictures look very beautiful with bright colours. The pics are sharp and not over saturated. It may not match the image quality of that of Samsung Galaxy S7 or LG G5 but you will surely have a great experience with the camera on this phone. The battery life on this phone is one of he best. It is a non removable Li-Ion 3140 mAh battery. The battery can easily last for a whole day with 5 – 6 hours of screen on time. It supports fast charging and can get upto 50% in 30 mins of charging. This phone comes with the price tag between 30,000 – 40,000 INR and has the specs of that of a high end smartphone. People who have a limited budget and want a smartphone with high end specs, this phone is surely for them.